Park Shore Land: L.2169 - Grand 0.42 acre lot in prime Park Shore location! This impressive site has been cleared and made ready for building the home of your dreams. This stately property also comes with a custom architectural plan by MHK for an awe-inspiring home with 4224 sq. ft. of air conditioned living space, 5 bedrooms, 6 full baths, 1 half bath, and 3 car garage. From your home, enjoy a leisurely walk to the Venetian Village for dinner or Park Shore's private beach. Park Shore residents may also lease or purchase boat slips at Venetian Bay Yacht Club providing Gulf access through Doctor's Pass. You will fall in love with this perfect location and opportunity, close to everything Naples has to offer! Park Shore Land: The lot is now vacant and ready for construction! Rare opportunity to build the home your dreams on this meticulously situated lot in Park Shore. DIRECT SOUTHERN EXPOSURE AND NO POWERLINES, this lot is ideally located moments from the beach and Park Shore's Private Beach Club, Venetian Village, Downtown Naples, and Waterside Shops. It's not common for lots like this become available on the open market. Soil testing and other due diligence have all recently been completed. Park Shore Land: Create your dream home with London Bay on this large, corner home site on Crayton Road in the prestigious Park Shore neighborhood. Centrally located near Waterside Shops and Venetian Village, you can build a custom estate home or get inspired by one of our award-winning floor plans. A leading homebuilder and developer in the Southwest Florida home market for nearly three decades, London Bay Homes has earned more than 300 industry awards. Its brand promise of Private Label Living ensures quality, attention to detail, and homes that are a unique expression of their residents’ distinctive tastes. Park Shore Land: Motivated Seller !Outstanding opportunity to build your dream home on this incredible southern exposure home site in the heart of Naples. 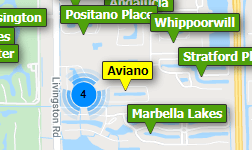 Centrally located near Waterside Shops ,Venetian Village and Naples Grande Beach Resort. Lot dimensions are 90x140 and is located on the AE flood zone. Park Shore residents have the exclusive option of purchasing or leasing boat slips through the Venetian Bay Yacht Club. Eligible for immediate Park Shore private beach membership. Architectural renderings are available. Please call listing agent for all the details. Park Shore Land: Build your home in paradise in Park Shore, the heart of coastal Naples. This prime, southern-exposure homesite is just a half-mile up the street from the beach, the Park Shore Association’s Raymond Lutgert Park, the Venetian Bay Yacht Club, and all of the great shopping and dining at The Village on Venetian Bay. And, just a few minutes drive away is all of the great dining, shopping and entertainment at Waterside, Artis-Naples, Mercato, and Old Naples, as well a great selection of world-class golf courses. The top-rated school district includes Seagate Elementary, Gulfview Middle and Naples High. County records show desirable X500 Flood Zone. No mandatory homeowners association fees. Cleared and ready to go, so no tear-down costs. Bring your builder and design your custom home. Work with all of the latest floor plan styles, elevations, and finishes, and enjoy the security of current building codes. Great opportunity to design and build new in a prime Naples location. Survey and list of reputable builders available upon request.